Mark Antonelli, a partner with the firm, is the consummate defense lawyer, respected in the legal community for his toughness, fairness and ethics. Mr. Antonelli represents insured and self-insured clients in all aspects of civil litigation matters, with a primary emphasis in personal injury and wrongful death claims in the areas of premises liability, construction related accidents, product liability and all aspects of municipal liability claims including police civil rights litigation. 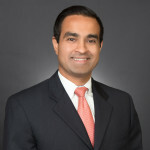 As panel counsel for a number of carriers, he regularly acts as a statewide Florida litigation counsel in the representation of their insureds while also serving in the same role for a number of corporate clients. Mr. Antonelli has tried more than 100 jury trials, handling cases through the appellate level. In addition, his practice has included non-jury trials, arbitration proceedings and hundreds of mediations. The arbitration practice has included the representation of insured, self-insured and corporate clients in voluntary and contractual arbitration proceedings, and proceedings before the American Arbitration Association, as well as serving as a defense appointed and agreed upon neutral arbitrator. His client relationships have included working with the risk management department of a food store chain in all aspects of the claim process. 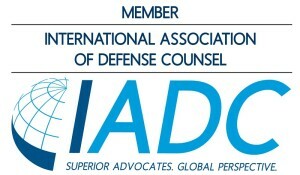 Close involvement included claims prevention techniques, handling and coordinating pre-suit claims as well as trial and appellate practice. Together, Mr. Antonelli and the company established an aggressive defense strategy of fighting questionable liability suits, even in cases involving plaintiffs with serious injuries. 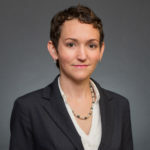 Mr. Antonelli is a frequent lecturer and has authored in areas of trial practice including trial preparation, opening statements and the taking of depositions. He is active in the community, having served as President of the South Florida Council, Boy Scouts of America, and is a Board Member and a past Chair for the Board of Managers for the South Dade YMCA. 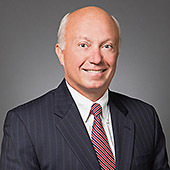 Mr. Antonelli is admitted to practice in all Florida Courts as well as the United States Supreme Court, the United States Court of Appeals for the Eleventh Circuit, and the United States District Courts for the Southern and Middle Districts of Florida. Mr. Antonelli is a past President of the Florida Defense Lawyers Association, a past President of the Dade County Defense Bar Association, and a member of the International Association of Defense Counsel, the Federal Bar Association, The Florida Bar, the Coral Gables Bar Association and the Defense Research Institute (Florida State Representative 2005-2008 and 2014-2017). 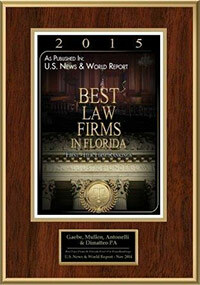 Mr. Antonelli is AV Peer Review Rated by Martindale-Hubbell Law Directory and has been selected for inclusion in the editions of Florida Super Lawyers since 2010, the South Florida Legal Guide of top rated lawyers since 2012 and by Best Lawyers in America (2016- Lawyer of the Year – Miami – Mass Tort Litigation/Claims Actions – Defendants) since 2013.